If you will forget about different tube line applications what could be the big use of tube bending? Sure it is furniture. There is no other massive industry which consumes so much bended tubes for different products. You can just look around and for sure you will find something also near you. Nobody will tell you how many millions of bended tubes are produced every year for example, for iron boards. Moreover we can talk not only about mass market products. It is known that there a lot of design chairs are produced with unique styles and with the use of modern and very expensive tube bending machines. Yes, in generally bending of tubes for furniture is very simple. In lot of cases it is enough manual or simple semi-automatic machines so the investment for start could be very low. 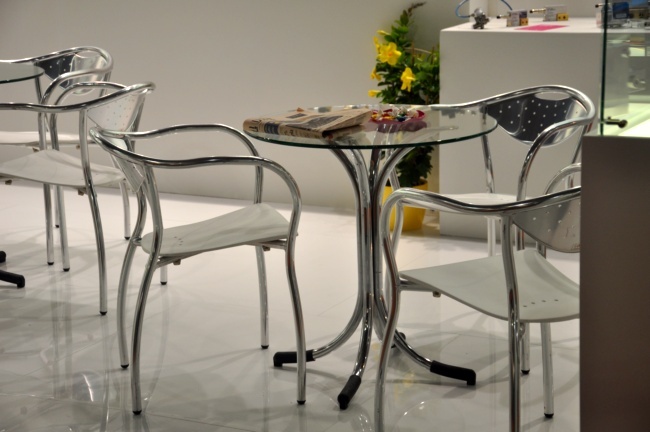 But from other hand furniture is very profitable business for high production and where you mean high production you should consider very high speed production cycle and it is the reason why even for simple applications lot of companies use serious modern machinery. Moreover to save the time and eliminate the human factor loading and unloading operations are performed by robot or other system for automation. Why we are talking about so serious boost. Just necessary to imagine that in the world there are so many furniture suppliers so if it is very hard to enter the automotive supplier chain it could be much easy to produce parts for furniture. 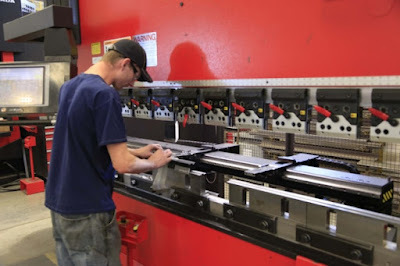 Moreover high production means the development of serious automation for the maximum reduction of fabrication time. And the last thing could be that the start could be done with simple machinery so entry level is not so expensive compare to other markets. As we said before usually products are simple. But it is very attractive to see the special designs with the bending of full chair body with one tube and full automatic cycle. 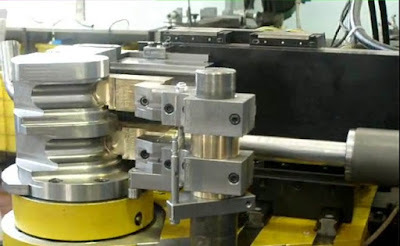 3D tube bending solutions in general have no limits so with the powerful machine you can develop a lot of various, stylish and impressive products.